I tutor SAT students, and today my student was working on paired passages about Napster. 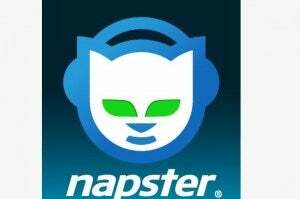 The SAT diplomatically introduced Napster as a service that allowed users to download music "at no cost." My student struggled with this idea. She asked me, "Like, it was free?" And I said "Oh yeah, all the songs available on it were free." So she wondered, "But didn't they get sued?" I had to explain the history of the RIAA targeting individual downloaders, and she could not understand why one person would be targeted because "everybody downloads songs!" Then she asked me the funniest question. "Well, how did they make money?" I told her, "They didn't! It was just a music sharing service, and even though internet wasn't as fast back then, it was totally free! And it was awesome!" I had to explain how iTunes wasn't a content provider then either, and how not everything on the internet was monetized. She had a hard time remembering that Facebook, Twitter, and Youtube were not always around, or even that Youtube wasn't always a Google product. I had to explain that start-up madness wasn't always this way (though there was no time to go into the first dot-com bubble). She was a little jealous that us OLD PEOPLE got to live through the Wild West of copyright infringement. She also reminded me that she was 3 in the year 2000. Kids these days! They don't even remember the exciting bubbles of the 1990s!